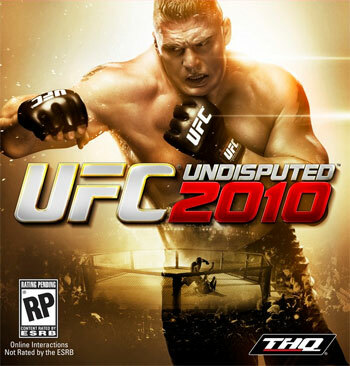 UFC heavyweight champion Brock Lesnar has been pegged as the next fighter to grace the cover of the highly popular “UFC Undisputed” video game. As reported earlier this week, last year’s “UFC 2009 Undisputed” shipped 3.5 million copies for rejuvenated game-maker THQ. The company’s venture into the MMA market paid off big time as it was one of the few video games that turned a profit for the struggling company. It was announced in December that the sequel to the platinum-selling game would be released on May 25th, which will allow the UFC to make a huge marketing push for not only the game, but Lesnar’s return to the Octagon this summer. UFC president Dana White has already said that if everything goes well, fans can expect the champion to put his title on the line sometime in late June or early July. UFC 114 is slated for May 29th, just four days after the game launches, and the same weekend the MMA powerhouse is set to host their second annual UFC Fan Expo. THQ has already promised major improvements to a game that was already quite successful, so that should tantalize the fans’ taste buds for the latest edition.